Last week, we went to Dipolog City to visit Zane’s relatives and join them in celebrating their town’s annual fiesta. The celebration revolved around the parade, a church mass and of course, food! We had such a lovely time and we can’t wait to go back there – for good. Our plans of moving down to the “Gateway to Western Mindanao” is currently on the works and we’ll be blogging more about it soon. Anyway, on the day we’re about to head back home to Dumaguete, Zane’s extremely accommodating Auntie Vivian and Uncle Resty gave us a box of sweet carabao mangoes or “manggang kalabaw.” The box weighed around 10 kilos so we’re talking about lotsa’ mangoes here. On our way home, I was already thinking about what to do with all of them when Zane gave me a light-bulb moment with the idea of making Mango Float. 1. In a large mixing bowl, stir together the all purpose cream and condensed milk. 2. Cut the mangoes into thin slices. 3. Get a rectangular glass pan and arrange graham honey crackers on the bottom. 4. 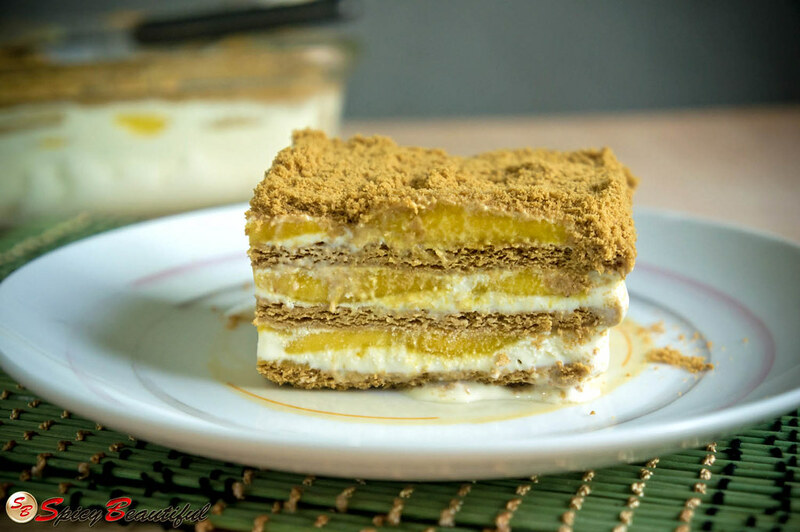 Layer the sliced mangoes on top of the graham honey crackers. 5. Spread the cream mixture on top of the sliced mangoes evenly. 6. 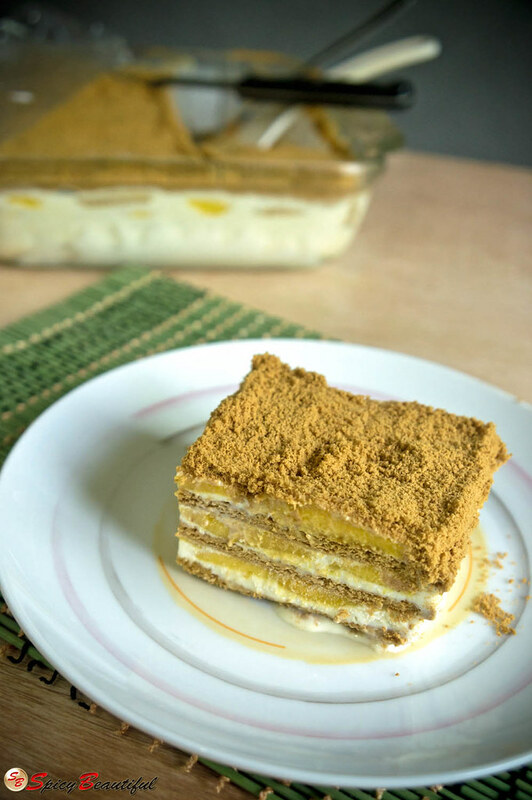 Create another layer of graham honey crackers, sliced mangoes and cream mixture. Make as many layers as you want depending on the depth of your pan. 7. Garnish the top layer with crushed graham honey crackers. 8. Chill overnight before serving. Mangoes become sweeter and less tart in cold temperature.